Need to renew your Philippine passport? If you’re an overseas Filipino worker or a permanent resident abroad, it’s usually more convenient and less costly to apply for passport renewal in your host country than in the Philippines. No need to leave your work abroad or wait until your next vacation back home, as you can go to the Philippine Embassy or Consulate General for your passport renewal. Yes, going to the consular office can be quite a hassle. But you can spare yourself from stress by being prepared—know what to do and what to expect before, during, and after your passport renewal application abroad. 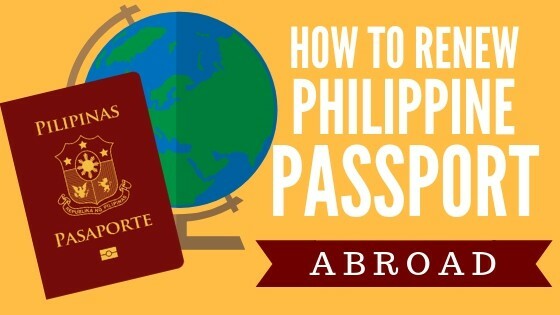 This guide provides crucial information for adult Filipinos who will renew their passport abroad as well as the specific renewal procedures in certain countries where most Pinoys live. 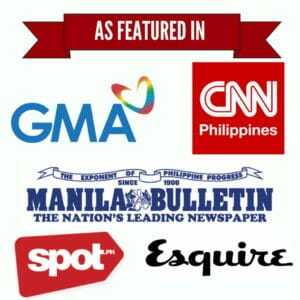 Who can renew a Philippine passport abroad? When to renew your Philippine passport. General Tips and Reminders for Philippine Passport Renewal Abroad. 1. Renew only in the Philippine embassy or consulate with consular jurisdiction over your current state/region of residence. 2. Personal appearance is required. 3. No need to submit a birth certificate. 4. Women can renew their passport abroad to change their name. 5. Photocopy all your documents before applying for passport renewal. 7. Check your information thoroughly during data verification. 8. Prepare cash for the processing fee. 9. Claim your passport within six months to avoid cancellation. 10. Present your original old passport only when claiming the new one. Country-specific Philippine Passport Renewal Guides. Filipino citizens living and/or working overseas whose passport will expire in a year or less. Overseas Filipinos whose passport has visa pages that are running out. Married women who want to use their spouse’s surname. Widows and annulled women who want to revert to their maiden name. Lost or damaged passport – Replacement of a lost or damaged passport is treated as a new application and not a renewal. Tourist visa – If you’re traveling abroad on a tourist visa, you should go back home to renew it. In order for you to travel abroad, your passport should be valid for at least six months. This is why it’s important to check your current passport’s validity before booking an international flight. It might be already up for renewal. However, don’t wait until your passport reaches its last six months of validity. It should be renewed at least a year before it expires. Processing takes much longer abroad than in the Philippines. Embassies forward applications to the DFA office in Manila, where passports are printed and then shipped abroad by batches. Depending on your overseas location, you’ll have to wait for one to three months for your new passport. Also, online appointment systems usually get filled up fast, as appointment schedules are rather limited. You’d want to book way ahead before your passport expires. What if you need to come back home immediately, but your passport is expiring, already expired, or lost? You may secure a travel document, which allows a one-way trip to the Philippines for Filipinos who meet certain criteria. Contact the embassy or consulate in your host country to inquire about getting one. Consular jurisdiction refers to the areas where an embassy or consulate provides services such as processing passport renewals. Embassies don’t accommodate applicants who live outside their consular jurisdiction. To save your time, money, and effort, make sure to go to the embassy or consulate that holds consular jurisdiction over the area where you’re currently living. Let’s say you’re an OFW in Saudi Arabia living in Jeddah. You can’t file your application in the Embassy in Riyadh because Jeddah is not part of its consular jurisdiction. Instead, you must renew your passport in the Consulate in Jeddah. Philippine embassies and consulates require overseas Filipinos to come to their respective office to personally renew their passport. This rule has started since the first e-passports were issued abroad in 2010. Part of the requirements for this modern passport type is capturing the applicant’s biometrics data and image. The embassy needs to take your photo, fingerprints, and digital signature on-site when you apply for passport renewal. This means you don’t have to bring your passport-size photo anymore. Applicants below 18 years old. Replacement of lost or damaged passport. Renewals for correction of information in the passport. Applicants included in the Department of Foreign Affairs (DFA) watchlist. If you recently got married and want to use your husband’s surname, submit your marriage certificate issued by the Philippine Statistics Authority (PSA) and authenticated by the DFA. Those who want revert to their maiden name must submit the PSA-issued death certificate of their deceased spouse or PSA-issued marriage certificate with an annotation that shows annulment/divorce instruction, whichever is applicable. Both original and photocopies of the requirements are needed for passport renewal. Whether the embassy/consulate has a photocopier or not, it’s better to have your documents photocopied beforehand. It will save you the time and energy having to go back and forth during your application. Embassies and consulates have strict dress codes that visitors must observe. You won’t be allowed to enter if you don’t dress appropriately. Your safest bet is to wear something that covers your body just right, like a collared and sleeved shirt with pants and closed shoes. Revealing attire (e.g., Sando, plunging neckline, sleeveless clothes, spaghetti-strapped or tube top, transparent clothes, shorts, low-waist paints, etc.). After encoding your personal data on a computer, the embassy personnel will show the screen for you to review your information. Take the time to double-check everything. Tell the personnel if you spot any misspelled entry or error, so it can be corrected immediately. If you find out the error too late (like when you’ve claimed your passport), it can cost you not only money but also another trip to the embassy. You’ll have to apply and pay for passport renewal again. Cash is the commonly accepted payment mode for passport renewals worldwide. Many embassies don’t accept credit card and debit card payments so bring the exact amount for the passport renewal fee. You might be very busy, but make sure to get your new passport as soon as it’s available. Most embassies keep passports for six months up to one year. After that period, unclaimed passports get canceled, and the applicant will have to re-apply and pay the passport fee again. Unlike in the Philippines where applicants submit their old passport during their application, embassies ask overseas Filipinos to present their current passport only when their new passport is available for release. Thus, you can keep your old passport while waiting for the new one. Submit your old passport for cancellation when claiming your new passport.